In this course, students learn all safety regulations and precautions in the welding environment. 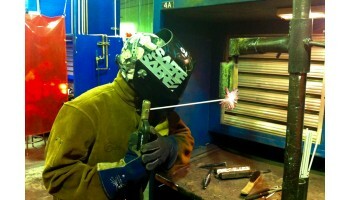 They also complete the skills of OXY-Acetylene cutting and ARC Welding 6010. They then begin instruction in ARC Welding 7018. Purchase of apparel and materials is required for adults, but is optional for high school students (approximately $150). Completion of Welding I, II, III, IV prepares the student for the 3G & 4G Structural Certification Exam.